Registration is open from Feb 01 2015 to May 15 2015. – SPLITRS 2015 Summer School has been successfully completed. Thank you all who sponsored and contributed to the event ! INTERACTIVE DISCUSSION OPEN TO THE PUBLIC at the Technical Chamber of Greece !! One day FIELD TRIP to the beautiful Taxiarchis Forest to collect spectral signatures with the spectroradiometer !! LiDAR: Data Analysis (Rapidlasso) ! DRONE / UAS (Unmanned Aerial Systems): The total workflow: FIELD DEMONSTRATION and data analysis (GEOSENSE) ! BIG data analyses (ENVI, MATLAB, SARscape) ! ENVI, IDL software for HYPERSPECTRAL data: Data analysis (INFOREST Research) ! Great lectures: Pattern recognition, Applications: Groundwater, Forest fire ! is taking us to Thessaloniki. Environmental Security: Remote Sensing of Natural Resources” (SplitRS 2015) is an interactive event between universities, research institutions and private firms. It considers the state-of-the-art remote sensing technology, sophisticated and comprehensive modelling approaches, data analysis, sophisticated software capabilities – all of which is incorporated in the framework of building the well-designed strategy to protect natural resources and public well-being. The proposed topics include the environmental security issues. This intensive and advanced, 5-day learning event, presents best insights into most recent techniques learned from top international professors and researchers through lectures and hands-on sessions. Participants will learn about different remote sensing applications using primarily hyperspectral and LiDAR sensors. Learning about information extraction techniques will be an integral part of the school program in 2015. Registration: from Feb 01 – May 15 2015. Summer school fee is €380 for professionals and €200 for students. The fee includes the Social Event: Thessaloniki at Night and dinner. 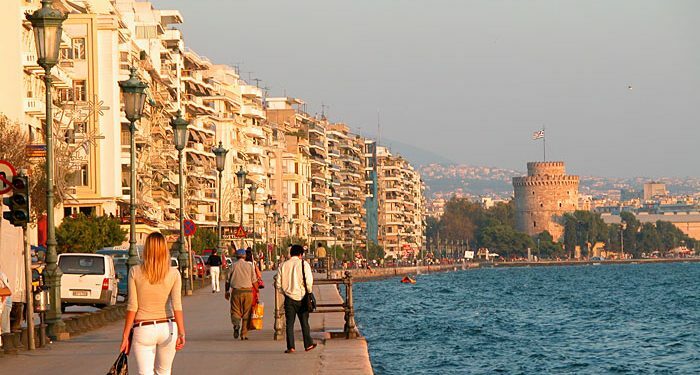 Immensely likable Thessaloniki has never been more fun, cultured or affordable than it is right now.